The Toyota 4Runner X-REAS shock system is a performance suspension option on many Toyota 4-Runner models. The X-REAS shock system, which stands for X-Relative Absorber System, is an option on all 2002 and newer 4Runners. The X-REAS shock system is designed to keep the 4Runner more stable while cornering by pumping oil from the inside rear wheel to the outside front wheel, essentially transferring oil from the shock that has the least amount of force being applied to it to the shock that has the highest amount of force being applied to it. This system links the front right shock with the left rear shock, and the left front shock with the right rear shock. Because the shocks and hydraulic system need to be serviced at the same time, replacing the X-REAS suspension is expensive. If your vehicle came equipped with X-REAS suspension, you can replace the expensive X-REAS shocks with a conventional set of shocks. In fact, many Toyota dealerships recommend converting the X-REAS shocks to standard shocks for customers who need replacements because the work is so expensive. The X-REAS suspension is not controlled by any onboard computers, so replacing the shocks with traditional shock absorbers does not cause any error messages or dashboard warning lights. When converting a 4Runner from X-REAS to a conventional style suspension, you MUST replace all 4 shocks due to the fact that the factory X-REAS system cross links the front and rear shocks with each other. If one shock is removed from the X-REAS system, the entire system will stop functioning. 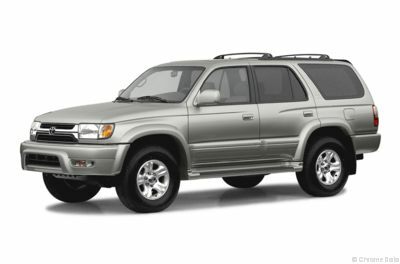 For the Toyota 4Runner, we recommend any customer replacing the X-REAS suspension with traditional shock absorbers use a high pressure monotube shock like the Bilstein Heavy Duty brand. This is because the driver of a 4Runner with X-REAS is used to an upgraded suspension and replacing the factory shocks with high quality performance shocks ensures that the vehicle's handling and road holding will be improved. If you are changing these struts you should always get new mounts.